A boy who gains the ability of a superhero is an interesting premise, especially when you mix it in with the intensity that is the DC Extended Universe. With its charm and understanding of what it is, Shazam is truly one of the best DCEU films made thus far, even tying for the best with Wonder Woman, in my opinion. Shazam revolves around Billy Batson, a 14-year old foster kid who is visited by a wizard and is given a variety of superhuman abilities, all while shifting from a teenager’s body to a superpowered adult. The first great thing about this movie is how well Zachary Levi portrays a 14-year old. Whenever the kid turns into a god, he retains his entire puberty-stricken brain, which is portrayed so well that it makes each moment with him on the screen even better. He portrays a teen who’s been rejected so many times by foster homes and society that his performance itself separates the film from the regular superhero formula that viewers have come to expect. The second great thing about this film is that it carries with it a genuinely good theme that a foster home can be a good place. The stigma that comes with foster homes in movies is usually toxic and destructive due to there being many foster homes that do care about the children they look after. The villain is also very interesting, though the character himself isn’t the most well-written. He holds a good motive, the sad part is he does take a back seat compared to the origin of Shazam himself but that isn’t necessarily a bad thing, as well this means there could be good surprises if the film does get a sequel. And honestly, the picture has good comedy and surprisingly dark and graphic moments that hold the viewer on the edge of their seat. It doesn’t hold back on the references and uses actual real-life examples for its story that carry more weight than they should, which only speaks to the love that the entire production crew had for the film. 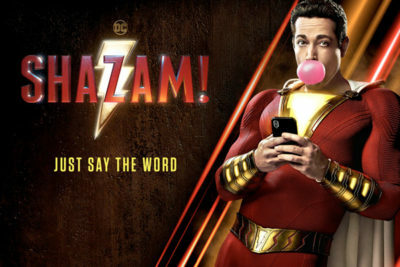 Shazam is amazing, and even though clapping at the end of any movie isn’t something I regularly do, I almost did it for this film and would go see it again in a heartbeat.